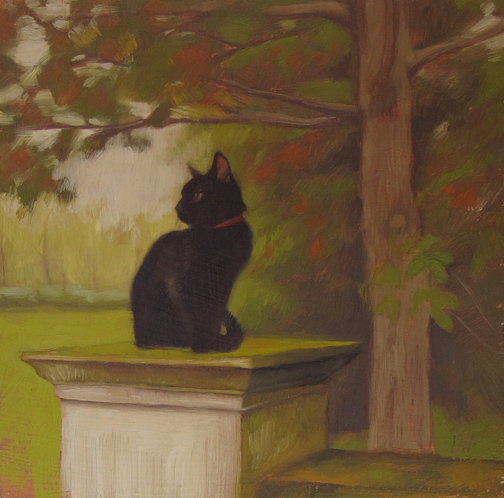 Photo references for the background of this painting were shot at Stan Hywet Hall and Gardens, the former home to F.A. Seiberling who co-founded The Goodyear Tire and Rubber Company. It is a grand estate, open to the public... It was built between 1912 and 1915, well worth a visit if you are ever in Akron, OH. Excellent idea and beautifully executed.